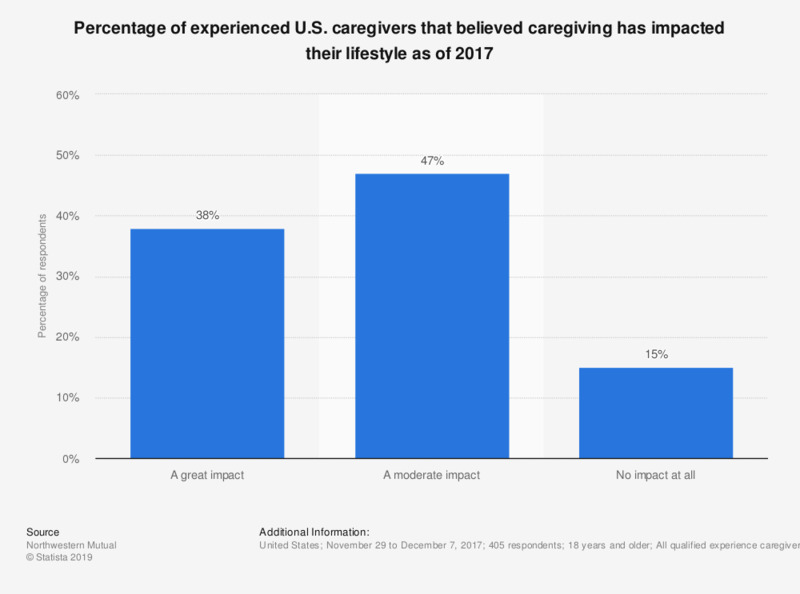 This statistic displays the percentage of experienced U.S. caregivers that have had their lifestyle impacted by caregiving as of 2017. According to the survey, 38 percent of respondents indicated that caregiving had "a great impact" on their personal lifestyles. Original question: "What level of impact has providing care for an aging family member or friend had on your lifestyle?"